For his research and other scholarly work in the field of economics particularly development economics, which have resulted in a number of internationally renowned publications focusing on poverty, economic inequality, and agricultural and rural development. These have substantially improved the understanding of the nature, causes and consequences of poverty and inequality in the Philippines, and the critical role of agricultural and rural development in a nation’s well-being. 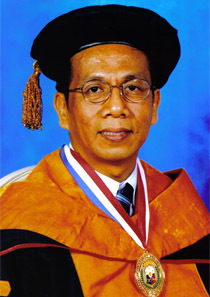 Moreover, his research has become an important reference for other development researchers in and outside the Philippines, as well as multilateral development organizations. For his burning passion to make research relevant to policymakers and for policies to be informed by research coupled with high leadership qualities, consequently inspiring and enabling him to initiate the establishment of groups, forums, and institutions that bridge academic and policy work as well as play a pivotal role in their sustainability, effectiveness, and impact.